Apple CEO Tim Cook was forced to choose between feuding executives Jony Ive and Scott Forstall, a Bloomberg report has claimed. According to a Bloomberg Businessweek article, outgoing Senior VP of iOS Software Forstall had refused to attend meetings chaired by Sir Jony, Apple's design guru, amid tensions between the two. Bloomberg said the meetings related to discussions over iPhone hardware designs, which Forstall skipped despite being in charge of the software that would be present on the device. The report read: "Even as Forstall oversaw the group responsible for the software that would run the iPhone, he didn't participate in the meetings, according to people with knowledge of the matter who requested anonymity because the meetings were private. Ive and Forstall were rarely in the same room, the people said." Bloomberg also claimed that, while Steve Jobs was able to keep a lid on the simmering tensions between Forstall and other executives at Apple, the iOS chief had become the most 'divisive' member of the team. Reportedly, the final straw came this week when Forstall refused to sign an apology over the incomplete Apple Maps app, causing Cook to wield the axe. 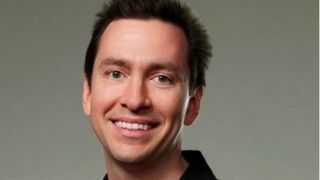 Briton Ive, will now assume some of Forstall's duties, putting him in charge of the software and hardware design of future iOS devices.